Like every kid in this world, I'm not the biggest fan of veggies. I'll eat them, sometimes even request them but they aren't on the top of my list. I only like a select few also. Carrots and broccoli are my favorites! I just find them bland but I guess that's how they are supposed to taste, right? I thought so until my mom started roasting them. Depending on what you use, you can put such a twist on them! I figured since it's Thanksgiving, it'd be nice to share some tips on roasting them! All of the photos/recipes come from Pinterest. There are many variations of ways to make each to suite your preference! SEASON – go with the usual salt&pepper and branch out to one or two of the following (Choose Your Own Adventure-style): paprika, cumin, cayenne, crushed red peppers, thyme, rosemary, sage – really, whatever takes your fancy and suits your meal. Using premixed spice blends is a great option too – Italian, Mexican, Old Bay – you know, just not all at once. Lightly toss your vegetable batons with a tablespoon or so of olive oil (not too much) and the herbs and spices. 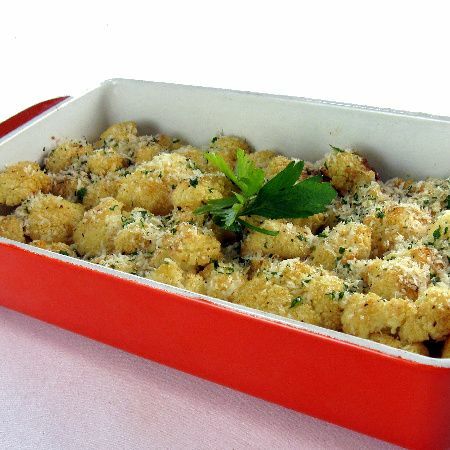 Combine cauliflower and garlic in a large bowl. Drizzle with olive oil, lemon juice, salt and pepper. Transfer, in a single layer, to a large rimmed baking sheet. Roast at 450 degrees F for about 25 minutes, stirring once. Sprinkle with cheese. Serve immediately Yield: 6 servings. Add more sugar or cinnamon if desired. Toss to coat evenly. 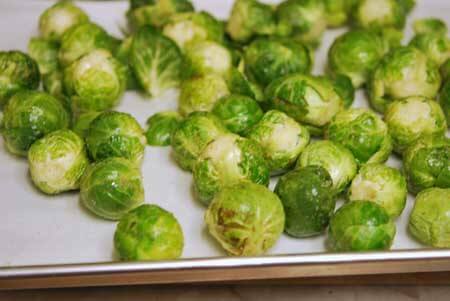 Wash sprouts, remove outer leaves and place in a 19" x 11" roasting pan. Drizzle sprouts with olive oil until lightly coated. Sprinkle with salt. Place pan in preheated oven and roast for about 20 to 25 minutes turning occasionally. Remove from oven when outer leaves are golden brown. I LOVE vegetables, but when they are roasted? Even BETTER. Try broccoli, too. A little olive oil, red pepper flakes, roast at about 400 until they start to caramelize. It's beautiful.